While studies exist on international migration intentionalities in Africa, very few havesufficiently examined their kinship interfaces among the youths. Although, Africaremains a major migrant sending continent, the role of kinship in emigration is stillpoorly understood especially relative to the youths who are the most migratory. It isagainst this background that this article examined the intersectionalities of kinship andinternational migration in Nigeria with specific attention to youths’ ultimate actionsinforming intentions. 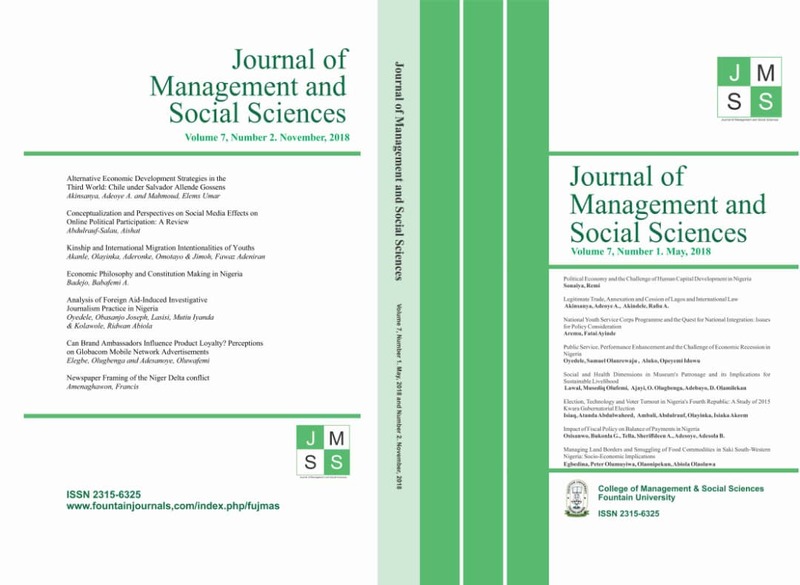 The article adopted social action theory and the push and pullframework as its theoretical framework. The research design was descriptive andexplorative. A total of 300 questionnaire was distributed through simple randomsampling. 20 in-depth interviews were also conducted with purposively selectedyouths. The relationship between kinship and international migration intentionalitieswas found to be positive due to the previous and current kinship migration patterns,realities and expectations that have become normatively sanctioned within youths’kinship networks. Hence, the kinship outcomes on migration co-relate with youths’belief that Nigeria’s (like many other African countries’) social institutions aredysfunctional and infrastructural systems are opportunistically disabling for theirvalues, goals and aspirations. Overall, the migration intentions and believedfunctionalities of emigrations among the youths are traceable to the subjectiveinterpretations of migration values and outcomes within subsisting kinship systemsusually predating and external to the youths.